Each student is individual and we will treat each student as such. There is no set amount of hours that it will take before you are ready for your test. 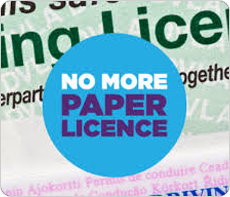 However, the Driving and Vehicle Standards Agency (DVSA) state that the average amount of time it takes now is around 45 hours of professional tuition and around 20/25hrs private practise. You will need more tuition if you don’t get practise between lessons or have bad habits. Again each student is individual. It may take longer for one and shorter for another! However, if you go with the average amount of time it takes 45 hours x the lesson rate plus test fees and study material you should be prepared to spend over £1200. Please note this is an average if you are unable to do practise outside lessons it could be more. Why does it take so long now, I only had 10 hours before I passed? Roads now are getting busier with more and more traffic compared to 20/25 years ago! The DVSA are committed to safe driving for life, as are SLM. We are no longer just expected to teach the student to control the car, we now have to teach the student how to think for themselves, make the correct decision and coach them through. We also have to take into account that there was no theory or hazard perception when many of us took our tests. That in itself can add time onto the lessons as we can’t book a practical test until students have passed their theory test! How long are the current waiting times for tests? 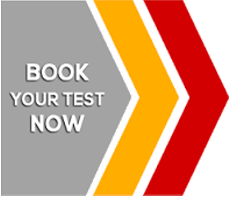 That changes throughout the year, however the average amount of time for a theory test is 4 weeks and for a practical test 8 weeks. When will you know that I’m ready for the test? We will look at the test waiting times and judge accordingly. For example if the test waiting time is 8 weeks, we will do a mock test when we believe you are ready. If you pass or are close enough to be test standard by the time the test date arrives, then we will book you in. We will expect you to do a pre-determined amount of hours prior to the test to either maintain your current standard or to bring you up to test standard. If you haven’t reached test standard or have not done the pre-determined hours to get you to test standard then the test will be knocked back until you are ready. What car will I take my test in? The car you take your test in is usually the car you take your lessons in, in very rare cases this may change due to unforeseen circumstances. Do the test centres have only a percentage of people to pass each week? The answer to this is simply no! If you are good enough you will pass. My friends have only been learning for a few weeks and are already learning reversing manoeuvres, why aren’t I? If you think logically, how often to do actually reverse when driving? If you are driving from your house to work or shopping you may only reverse maybe 1% of the time. We believe you should learn how to drive in a forward motion fully first before attempting a reversing manoeuvre! I don’t have any money, can I pay next week? No, SLM School of motoring does not offer credit facilities. 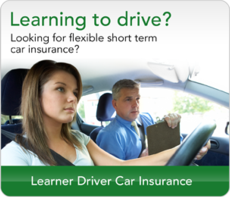 All driving lessons are paid in advance, in exceptional circumstances, we allow the pupil to pay on the lesson. Why do I need to do a 2hr driving lesson? Isn’t 1hr a week enough? Yes 1 hour a week is enough if that is what you want to do or can afford. It will just take you a lot longer to learn. Most people now want to pass as quickly as they can. Doing 1 hr doesn’t give you that chance as we find pupils forget from one week to the other. When you remember what you are doing it’s often time to turn around and go home. How come my friends have taken less lessons and are going in for their test? Learning to drive is very different for all pupils. Each person learns at their own pace. You can have somebody who is academically very clever who struggles with practical things so the theory test will be a breeze but the driving test will be harder. 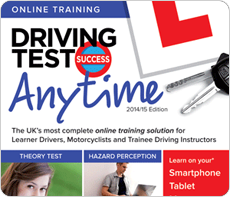 Somebody who is more hands on may find the theory test hard but the practical easy. We are all very different. Are they practising between lessons? Have they had any previous experience? Do they ride a motorbike? Have I studied and passed my theory test? These will have an indication of how many hours of driving tuition you will need to take. Is it better to block book or pay individually? That is down to you. Block booking has the added advantage of being cheaper than paying individually. If you want to save a little money, then the block booking is for you! Block booking can also help with budgeting, as you know you have lessons already paid for. In what circumstances would you need to move a test? We would only move a test if as a last resort if the pupil was not up to test standard at that time. The driving instructor is well aware of the standards that are now required to be able to pass the test. If at any point those standards aren’t met, then for the safety of all concerned, the student, the examiner and other road users, has to be taken into account. Safety always comes first regardless of cost. Can I take my test in my own car? Can I just go and have a go at the test? No, SLM School of Motoring promote safe driving for life. If you are not test ready you will not be using any of SLM School of Motoring cars. Your nerves got the better of you. You made too many driving errors. You did not complete the test. First of all we will get you another driving test booked and then work on the areas that you failed on for your driving test. Can you guarantee that I will pass my driving test? No, nobody can guarantee this. It’s down to how you drive on the day. I have taken a fast pass what do I get? Plus 30, 40 or 50 hours of driving tuition depending on the package that you picked. All extra lessons will be charged at full rate. If you use all of your chosen package you will be required to pay for the hire of the car on test day also. If you have any driving lessons left we can use the value of the lessons towards a pass plus course or motorway lessons, this will be charged at the current rate.